Gorgeous Designer 3 Bed Property, 2 Mins from Sea, Sleeps 6. 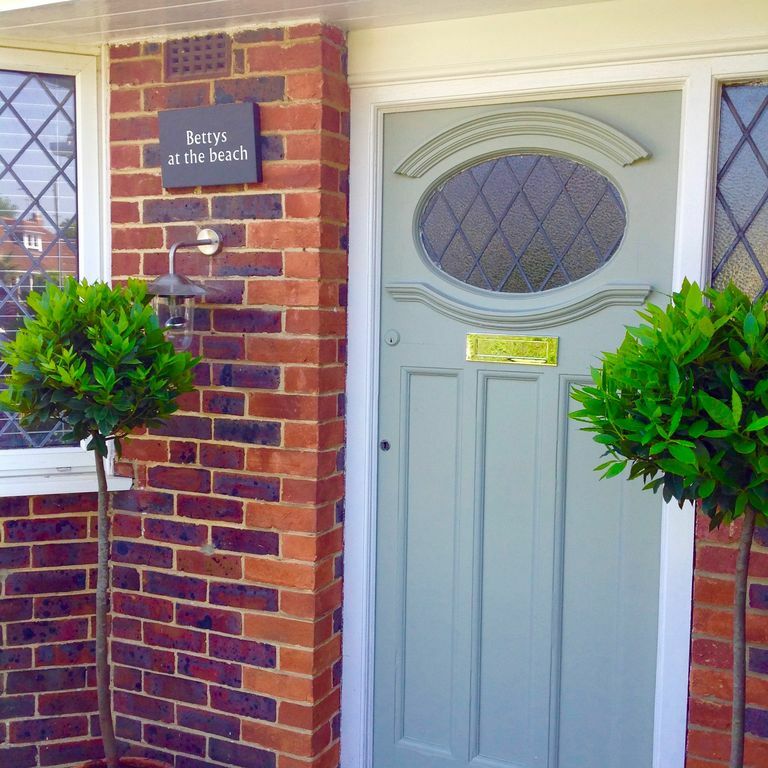 Bettys at the beach is a luxury holiday home. It is set in the quiet and leafy Sea Lane and is less than 2 minutes walk from the sea. It has been finished to an extremely high, designer standard with beautiful up to date interiors including all modern appliances. Sleeping up to 6 in 3 stylish bedrooms it is perfect for family and friends with an enclosed safe garden and is only an hour and a half from London. Bettys is pet friendly and disabled friendly. Bettys at the beach has a lovely bright fresh and light feel appropriate to the location. Features of particular note are the stunning wood floored spacious and contemporary living room and the stylish kitchen with ample dining space. You will love the bathrooms after a day on the beach, they have a spa feel and are stunning. The games room houses the table football, plenty of games for the children and a dog bed should you wish to bring your four legged friend. Outside the property is a drive with parking for 2 cars with further parking outside the property. The south west facing garden has a large patio and is secluded and secure with rattan furniture and BBQ. Bettys has been in our family for 30 years and we look forward to families enjoying this gorgeous holiday home as we have. I grew up in east preston and have lived in the area all my life so would hopefully be able to answer most of your questions! We now live 10 minutes away so can help with any queries or needs during your stay. We had a lovely week for our Easter holidays. The bungalow was ideal and spacious for our family of 4. Great location - a short walk from local beach and local shops. The beds were super comfortable and the shower was perfect. The garden was very nice - private and enclosed. The high chair was perfect for our 11 month old. Our 5 year old also really enjoyed Arundel - both the Castle and its gardens and the Wetland Centre were lots of fun. We had a fabulous stay at Betty’s. Great communication from Sian. Cozy home with all amenities. Could easily spend a week or two. I Highly recommend Betty’s. Second stay this year. So close to the beach and ideally located to investigate the area. With 4 adults and 2 children the on suite was really handy. Thoroughly recommend this property for it's location and it's excellent facilities. Everything was beautiful from the furnishings to the cutlery! The garden was great for the dog as it is totally enclosed and he loved to explore on his own. Sian was so helpful and I cannot recommend enough. We would love to return to this lovely area and Betty's. The property is situated a few minutes walk from East Preston beach. There are many water sports in the vicinity including windsurfing, sailing and kitesurfing. There are numerous local attractions including the beautiful city of Arundel, Chichester and Brighton, all within half an hour. For horse racing and car enthusiasts Goodwood and Fontwell are within half an hour. There are golf courses at Rustington and Ham Manor within 10 minutes. Restaurants, shops and pubs are a five minute walk. There are many local stunning walks and Sussex pubs to enjoy a well earned drink or just grab a bucket and spade and enjoy the beach - Bettys provides you with a perfect position to enjoy a fabulous holiday.